Mrs. A likes glitter and cake. 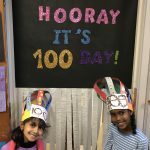 Her favorite day of school is 100 day! Happy Happy New Year! Hello 2018! Students in our Dual Language Kindergarten classes worked together and created a Alphabet book and also created movements for each letter. Below is a link to Ms. Chavez’s class preforming the Alphabet chant they created. To kickoff the start of our Travis Heights Neighborhood project, we enjoyed a visit from Officer Seagraves. Our Travis Heights Neighborhood Project is off to a great start! 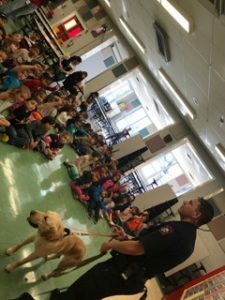 A wonderful time was had on our walking field trip to Fire Station #6! A HUGE “Thank You” to all the volunteers that were able to walk with us! Kindergarten visits The Paramount for The Very Hungry Caterpillar!